Matmora is located on the eastern island of Austvågøya, near the village of Straumnes, about 1 hr 40 min from Leknes, or 35 minutes from Svolvær. If you have two cars you can do this hike as a one-way ridge walk, though this is probably not a particularly likely scenario for the average tourist. However, fear not, because even if you have to go back the way you came, the total distance is only around ~7.5 miles. The steepest part of the trail is at the beginning, where you rapidly gain ~1000 feet to gain the ridge, and after that the incline alternates between gentle and moderate. This epic hike of 943 moh. It's a hard hike. It takes 4-7 hours up and down (depending on your condition). You need good shoes and clothes. Beautiful view on 700 moh. And higher up. 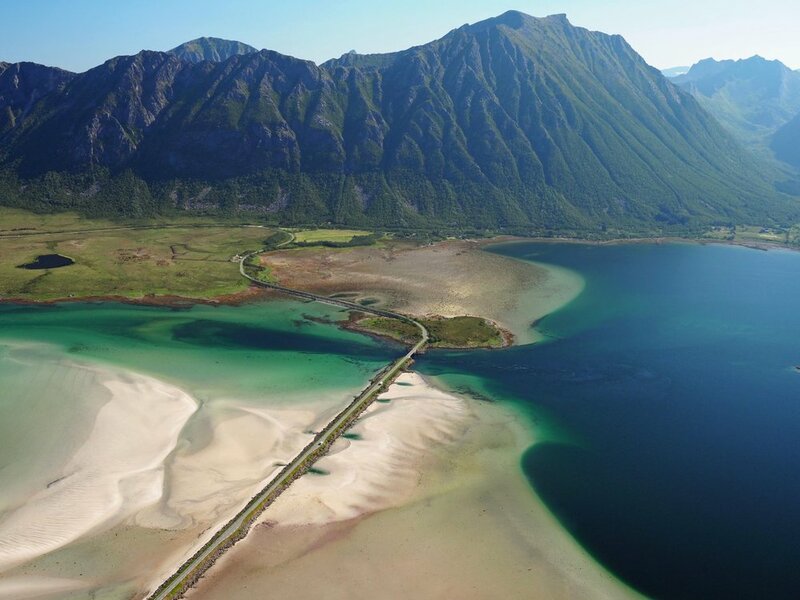 A 10 min drive from Henningsvær and the main road E10. From the top of Festvågtinden (541 m.o.h) the views over the fishing village of Henningsvaer are breathtaking. 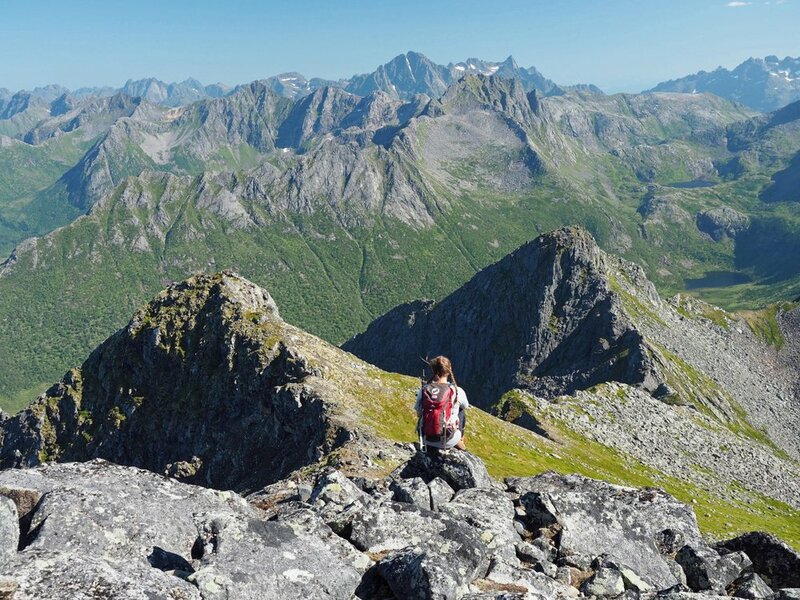 This hike is very similar to Svolvaer Fløya and Reinebringen, in that it’s a steep, somewhat unexciting climb to an awesome viewpoint. It’s absolutely worth it on a clear day but consider skipping this hike on a cloudy, rainy day. 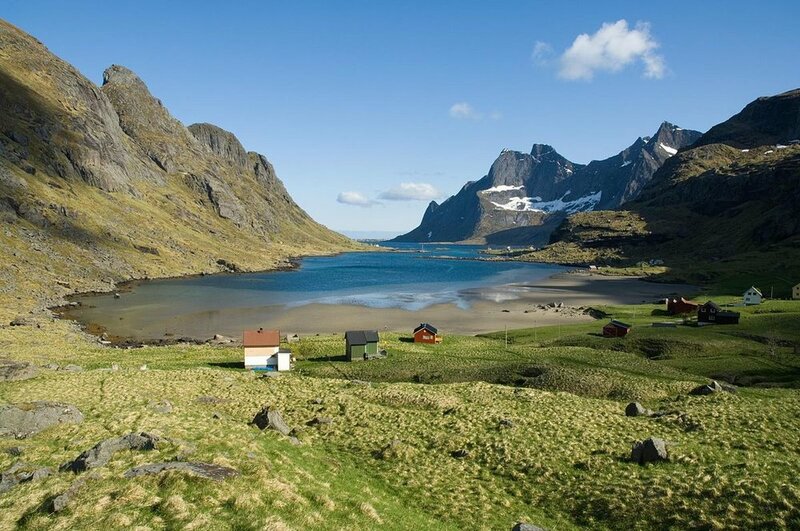 Munkebu hut is located on Moskenesøya, the last island on the Lofoten archipelago reachable by car. The hike starts from the town of Sørvågen, about an hour from Leknes. This is a popular hike and the parking lot also provides access to a lakeside picnic and swimming area, further decreasing your chances of getting a spot.